Eligibility Criteria for NEET PG Medical Entrance Exam: To appear in NEET PG medical Entrance Exam candidates should posses MMBS MBBS degree or Provisional MBBS Pass Certificate recognized as per the provisions of the Indian Medical Council Act 1956 and possess permanent or provisional registration certificate of MBBS qualification issued by the Medical Council of India or State Medical Council and have completed one year of internship or/are likely to complete the internship are eligible. Internship: Candidates who have completed one year of internship or likely to complete the internship on or before 31st March 2018. 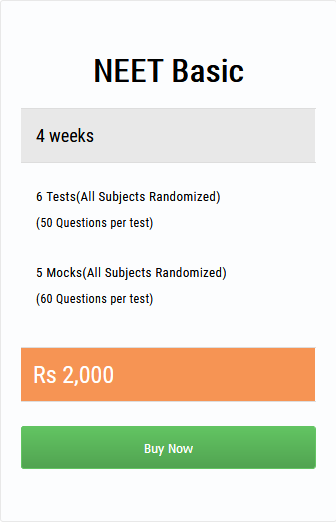 Exam Mode: The NEET PG medical entrance exam will be organized in online (computer based test) mode. Session: The NEET PG medical entrance exam will be organized in two sessions, one in the forenoon (10:00 AM to 3:45 PM) and second session in the afternoon (3:45 PM to 7:30 PM). The syllabus will contain various topics of subjects or knowledge areas. The NEET PG medical entrance exam syllabus will be prescribed by the Medical Council of India (MCI) with prior approval of Government of India. Syllabus will comprises of topics like Anatomy, Ophthalmology, Physiology & many others. Students should prepare as per the syllabus to score good in the examination.